Could Samsung's Galaxy Note7 recall open the door for Apple? While Samsung is doing the right thing by issuing this recall, it could ultimately hurt the company and its flagship product. Samsung has been known to beat Apple to the punch when announcing their flagship devices. This year’s Galaxy Note7 announcement was no different as Samsung announced it weeks ahead of Apple’s iPhone 7. But now Samsung has issued a voluntary worldwide Galaxy Note7 recall — and that is a huge deal. The Note7 recall stems from reports of the device exploding and injuring users. Initially, Samsung halted sales of the device and this morning officially issued the Note7 recall. The recall was the prudent and responsible thing for Samsung to have done but that does bring into question of how this will affect the company and its device. With Apple announcing the iPhone 7 in just a matter of days and the Note7 recall dropping now. Many users who were thinking of purchasing the Note 7 may be dissuaded from purchasing due to the recall. This could certainly give Apple a leg up in grabbing a whole new swath of users who might have been holding shiny new Note7’s in their hands. Apple could also see consumers who already purchased a Note7 and are returning it turn to them for their smartphone needs. 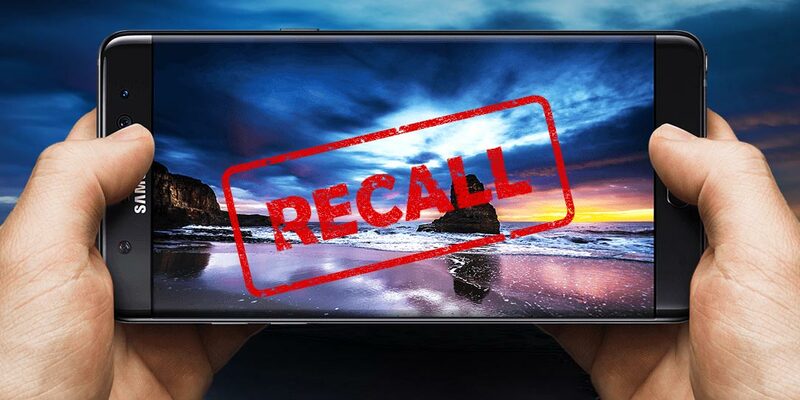 While Samsung is doing the right thing by issuing this recall, it could ultimately hurt the company and its flagship product. Samsung has been making some amazing moves in the smartphone market but this is a huge misstep. Apple could very well step in to fill the gap and take a substantial amount of sales away from its biggest competitor. What do you think of Samsung’s worldwide recall? Do you own a Note7? Have you had issues? Will you be returning it? Do you think Apple has an open door here? Let us know your thoughts and comments below or hit us up on Twitter, Facebook and Google+.